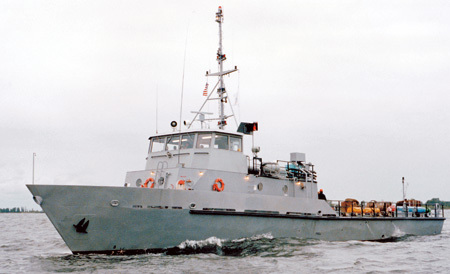 Patrol Vessel is a relatively small naval boat generally designed for coastal defense duties. There have been many designs for patrol boats. They may be operated by a nation’s navy, coast guard, or police force, and may be intended for marine (blue water) and/or estuarine or river (“brown water”) environments. They are commonly found engaged in various border protection roles, including anti-smuggling, anti-piracy, fisheries patrols, and immigration law enforcement. They are also often called upon to participate in rescue operations.